It is amazing what an intrepid adventurer can find right outside Gothenburg. I admit it, I am a sucker for adventure stories! I like Science-Fiction, Horror, detective stories, and superhero comics, and movies, and it shows in the things I shoot. 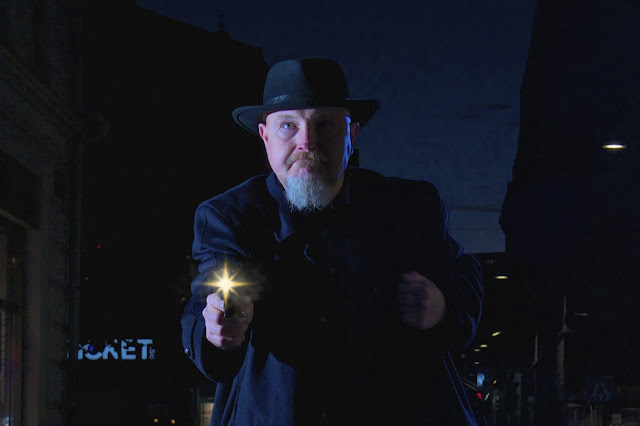 The past few years, my friends and I have done our best to turn Gothenburg into a city of adventure, horror, and wonder. Here are some of the highlights. 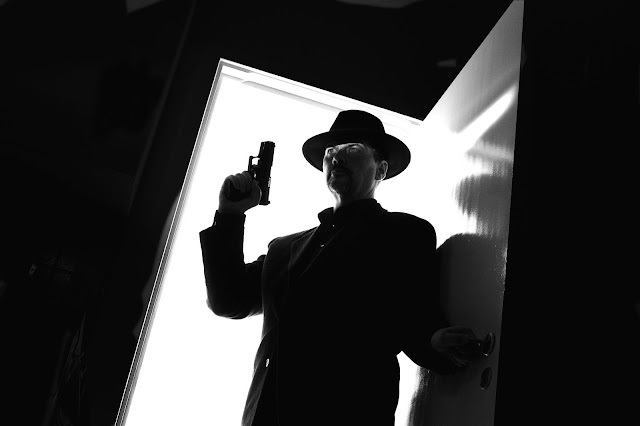 This shot of a hard-boiled detective on his last case was inspired by Sin City and other Film Noir movies. It is a selfie. I taped a sheet in the door frame to my kitchen, and lit it from behind with a flash on a tripod. The sliver of light on my eyes is from a flash with a pizza box as a light shaper. 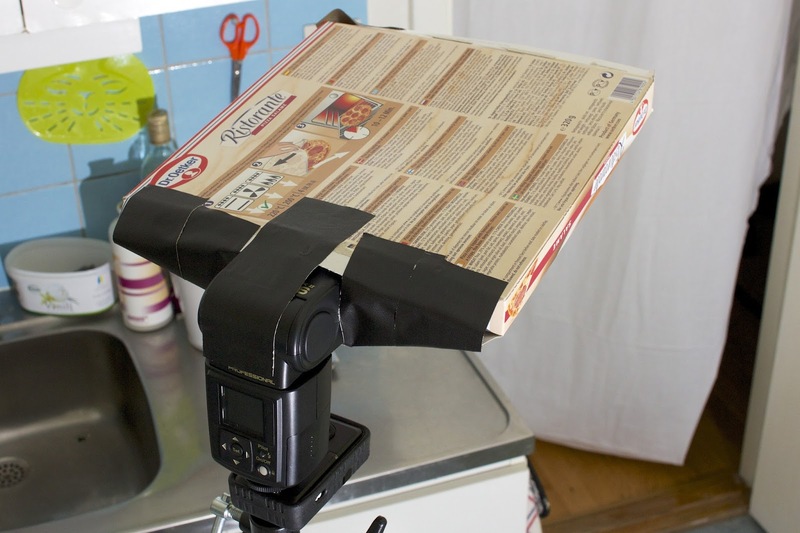 I often improvise, and use whatever is handy to shape light. I run a photography network for both amateurs and professionals. We have photography events, with various themes. Recently, we had an Adventure photography event, and it was there that I met Peter Markusson. Personally, I think Peter is a lot better as a hard boiled character than I am. This picture turned out to look a little bit too realistic. When I published it, some people thought it was the real thing. A couple of my friends and I run a Swedish photography videocast, Fotosnack (photo chat). We discussed producing an episode about doing interesting stuff with simple gear, like an iPad or camera phone. I did a mini-project, where I used my iPad, and apps like LensFX and Snapseed, to produce a series of pictures from the little known Martian invasion in the 1970´s. I released the photos one-by-one. As I released each photo, I also wrote a little story snippet about the invasion. 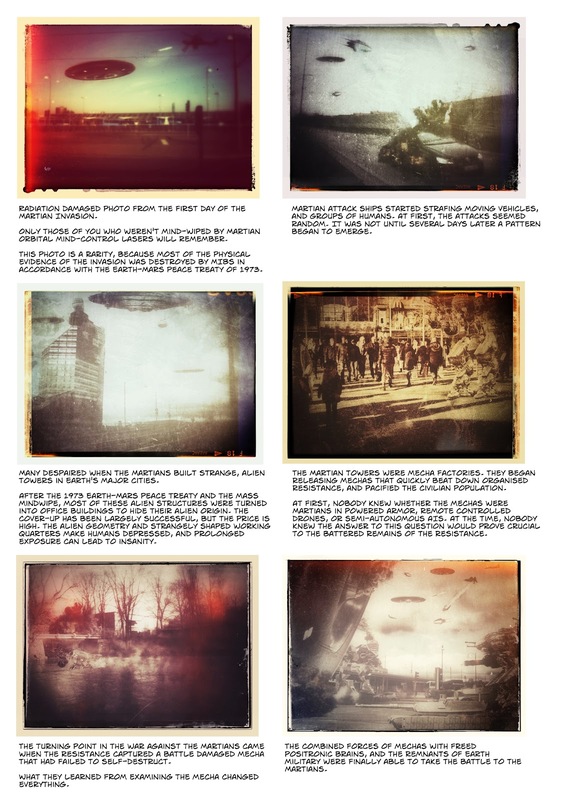 When I published the pictures and story snippets, I did not state that they were fiction. I should have, because some people thought the invasion story might be real. That is why I started including mecha robots in the pictures. It avoided further confusion. Fortunately, nobody believed in Martian Mecha. If you have read horror stories by H.P. Lovecraft, you will probably see that this is a human/Deep One hybrid. This is a subject I plan to return to...when the stars are right. The Girl Who Wanted Eyes for Christmas is a more subdued horror piece. Perhaps it is best not to think of what she'll do with the eyes, or how she'll get them. Let's hope they are not yours. Petra Brewitz throws a car! Poor Julia Reinhart, who is inside. What would it be like if some people really had superpowers? When tempers flare, quite messy, I am afraid. That was the premise of Savage Heroes, a series of pictures where superpowered characters really let loose, and the carnage that follows. Savage Heroes: Warzone! is a superhero team slugfest picture. It is not realistic, and it is not meant to be. Instead, I went for a four color comic book look common in the 80´s. 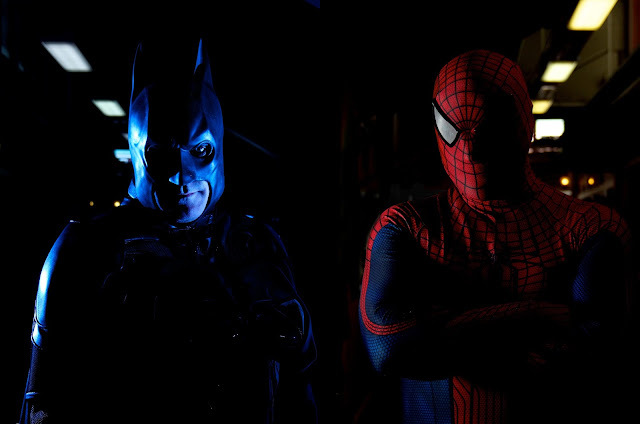 The Batman and Spiderman shot was a bit of pro bono work for Superheroes Against Cancer. I wrote and directed A Rift in Time, but there were several photographers in the team. This picture was taken by Julia Reinhart. 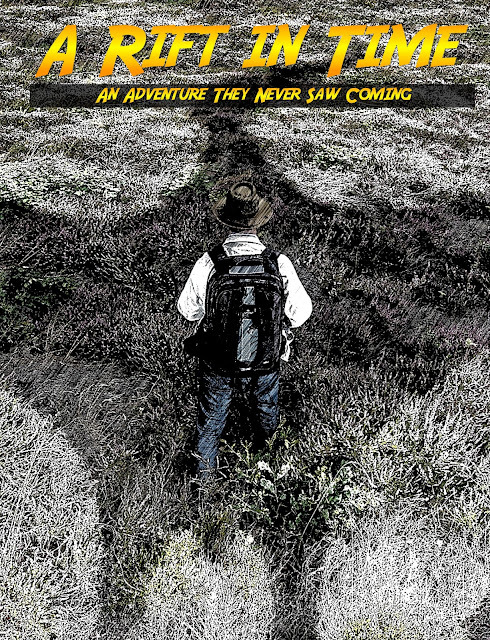 A Rift in Time is a photo comic book project. 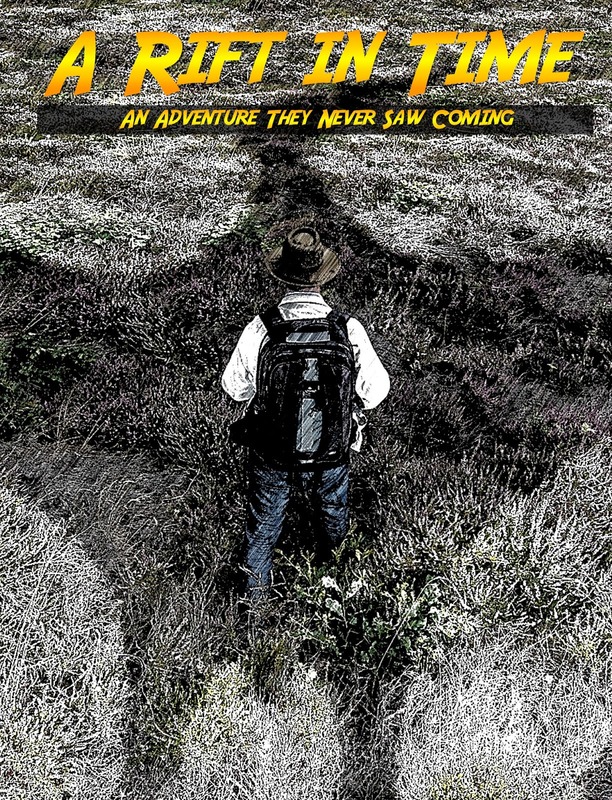 We were a team of eight people who spent over a year creating a time travel comic book adventure, complete with dinosaurs. I wrote the story, and directed the photography, but we were several photographers, and most of us also played roles in front of the camera. Turning Gothenburg into a prehistoric, 65 million year old landscape, on zero budget, was a bit of a challenge, but it worked out alright. Three pages from A Rift in Time. 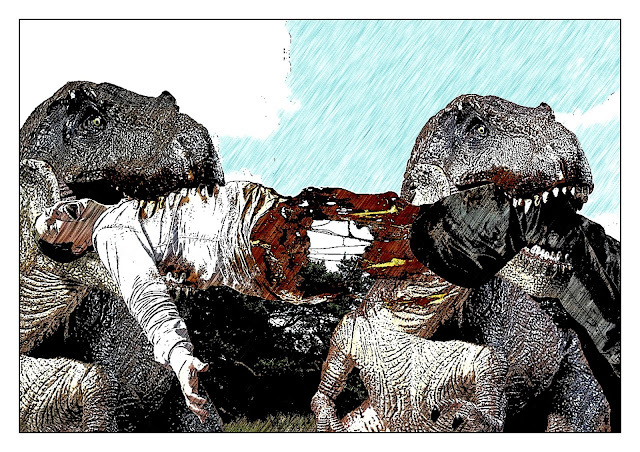 A Rift in Time is an adult adventure, and there is a bit of graphic violence in the comic. The drawn look allowed us to tone the effect down a bit, and reduce the realism where we needed to. I am rather happy we went for the drawn comic look. The original picture is even more gruesome. Another benefit of the look was that we could speed up the composite work in postproduction, because we did not need to match light and shadow as carefully as we would otherwise have had to do. Though we picked a comic-look for A Rift in Time, I have also had a lot of fun doing more realistic looking work. For the picture above, I used my son's plastic toy T-Rex. I added organic looking skin texture from the same fish photos I used to create the human/Deep One hybrid horror photo. Gothenburg may seem a bit sleepy at times, but between the detectives, monsters, superheroes, and time travel accidents, the city is much more exciting than it looks.